The past year has been a time of significant change not only for our industry, but for our regulators, as well. In particular, FINRA – where Robert Cook took over as CEO in September 2016 – has made a concerted effort to adapt to the shifting financial services landscape in order to better serve Main Street investors and provide more effective oversight of its member firms. From Mr. Cook’s first days as CEO, he has emphasized his desire to listen to FINRA’s members, as well as to investors and the public, in order to understand these groups’ views and ensure that FINRA is pursuing its goals of investor protection and promoting market integrity as efficiently as possible. After a year of consistent dialogue with Mr. Cook and his team on behalf of our members, the Financial Services Institute (FSI) is pleased to say that FINRA’s leadership has followed through on this goal – and we believe they are poised to make further progress in 2018. In March, FINRA published a Special Notice requesting feedback from interested parties on steps it could take to drive greater effectiveness in its member engagement programs, including various advisory committees, initiatives to solicit and incorporate member feedback in the rulemaking process, and other outreach efforts. In the comment letter we submitted in response, we focused on several key themes, including: increasing transparency around FINRA’s examinations, rulemaking and general member communications; expanding opportunities for advisors and others to be directly involved in FINRA’s rulemaking and advisory committees; and ensuring consistent interpretation and application of various rules in the exam and enforcement processes, among others. Nine months later, it is clear that FINRA took our feedback – and the input of other industry members – seriously. In response to requests to enhance opportunities for advisors and other members to participate on its advisory committees, for example, FINRA will publish an annual notice about the application process for interested individuals to be considered. It will also publish more information on the selection process, broaden the distribution of election-related notices and introduce an online portal where members can submit indications of interest for serving on various committees. FINRA also recently published a report on its examination findings in order to increase transparency in the overall exam process. The report provides FINRA’s observations on commonly-occurring issues that could have significant impacts on investors or the markets, including cybersecurity trends and findings regarding outside business activities. By providing greater visibility into the trends it is seeing through its examination process, FINRA is helping our members and other firms strengthen their compliance practices, and to identify potential problem areas prior to an exam. FINRA has also indicated that it is considering further steps to improve predictability and consistency in examinations and enforcement. We are very encouraged at the positive steps Mr. Cook and his team have taken this year to enhance FINRA’s effectiveness and efficiency in providing oversight for our industry. In order to provide ongoing, focused input to help the regulator drive further progress in 2018, we are forming a Board-level task force to deliver insights from across our membership on additional potential enhancements in the key areas FINRA has targeted for improvement. Each member of our Board will appoint a representative from their firm’s executive leadership team to serve on the task force. Our financial advisor Board members – including our incoming Chair, Dean Harman – will serve on the task force personally to the extent possible. The task force will form working groups to examine crucial issues that FINRA will be considering throughout the year and supply input on potential enhancements to its rules and processes that could aid in our members’ compliance efforts while bolstering their ability to serve clients. Key areas of focus for these working groups may include adjustments to the particular arbitration issues; FINRA’s retrospective review of its rules governing outside business activities; and input on enforcement processes and policies. We will, of course, be guided by FINRA’s priorities and our ongoing dialogue with the regulator in establishing these working groups. As the new year begins, we commend Robert Cook and his team at FINRA for following through on the goals they laid out at the beginning of 2017 to listen to their members and others in order to enhance FINRA’s effectiveness. We look forward to working with Mr. Cook and his team in 2018 to continue to build on the momentum they have created. Bitcoin is the hot new investment – or the hot new variation on a Ponzi Scheme. Either way, there are potential problems down the road, on the investment side, as well as on the technology side with mining operations and investment sites being hacked. Read my post at SECLaw.com for more on these developments, and if you have Bitcoin losses, give me a call – 212-509-6544. FINRA periodically conducts sweeps on particular regulatory topics. In its most recent Annual Priorities Letter, FINRA claimed that conflicts of interest represent a recurring challenge that contribute to compliance and supervisory breakdowns which can lead to firms and registered representatives, at times, compromising the quality of service they provide to clients. FINRA seems to be fixated on compensation, despite the complete lack of published statistics or facts to support its conclusion that there is in fact an issue. 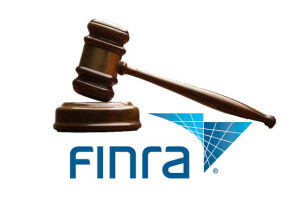 Regardless, our firm, and our clients must deal with the premise, and FINRA’s fixation. Recent industry trends show that there is an increasing concern regarding the investments being requested by and recommended to, senior citizens. 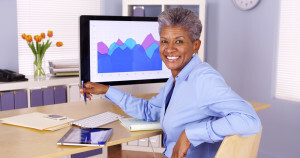 Firms need to carefully review the types of securities being sold to seniors, to train their RRS on specific senior issues, including aging, diminished capacity, elder abuse the exploitation. The attorneys of Sallah Astarita & Cox have represented brokers and firms as well as senior investors for decades, and are available to conduct a seminar at your firm or organization regarding these issues. Contact Mark Astarita at 212-509-6544 to learn more about our free seminar for your firm or organization. A half dozen financial advisers from Barclays PLC’s U.S. wealth-management group, including its former head, have left the firm to form a multi-billion-dollar independent practice with national ambitions.